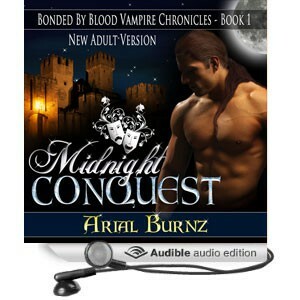 Arial Burnz » Audio Books » Midnight Conquest – NOW AVAILABLE ON AUDIBLE! « Hot for the Holidays Sale!! Midnight Conquest – NOW AVAILABLE ON AUDIBLE! For those of you who do not have an Audible account, you're missing out on enjoying fabulous audiobooks!! It's only $14.95 per month and you get a credit each month. 1 credit buys 1 audiobook. I usually save up my credits and then splurge on sales they have – buy one get one free happens a LOT. So books that are normally $25, you only get them for $14.95 because you can spend your credits on them. It's AWESOME! And then they have GREAT sales for audiobooks that are sometimes less than $5 – members only sales. So audiobooks really can be affordable! CLICK HERE TO DOWNLOAD MIDNIGHT CONQUEST TODAY!!! 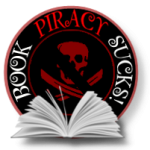 If you've been waiting to read audiobooks but thought they were too expensive…think again! And if you're joining for the first time now, PLEASE consider making Midnight Conquest one of the books you get with your free credits when you join! You'll actually help me and David earn a little commission for all the hard work we've done for free to get this book up and running. The book just became live a day or two ago and I was waiting for the codes before I made the announcement. But I still haven't heard back from Audible yet. For those of you who have won an audiobook in recent promotions, I'm working on it! I promise!! As soon as I have those codes, I'll send you a message with instructions on how to claim your audiobook. Thank you for your patience!! 4 Responses to Midnight Conquest – NOW AVAILABLE ON AUDIBLE! 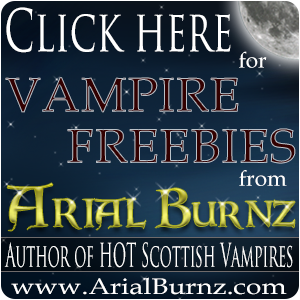 Arial – I got the Midnight Conquest audiobook about 8:00 p.m. last night, and I’m already up to Chapter 7! And it is FABULOUS! I love the narrator – his ‘Rick’ voice is like being dipped in chocolate and then rolled in cocoa powder. I tend to be a fast reader, and I find that I am enjoying hearing all the details – conversational pauses, vocal inflections, change in tempo, etc. – that I tend to glissade over in my eagerness to see what’s coming next in the plot development. So in addition to the luscious Scots accent, I’m appreciating anew the subtleties of the dialogue, plot line and character development. It’s almost like discovering the book all over again. What a gift. Hee hee hee!!!! I love this!!! I’m so glad you’re enjoying the audiobook and I totally agree with your metaphor about David’s “Rick” voice. Hubba hubba!!! I’m totally sharing this!!!! Thank you and I’m working on the edits for the next book right now. If all goes well, we might have it done by the end of March for Book 2.